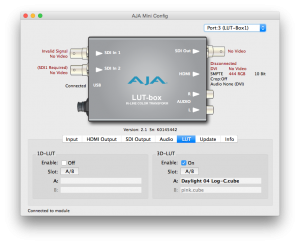 Due to the design of the AJA LUT-box LiveGrade is not able to use it for real time color grading. 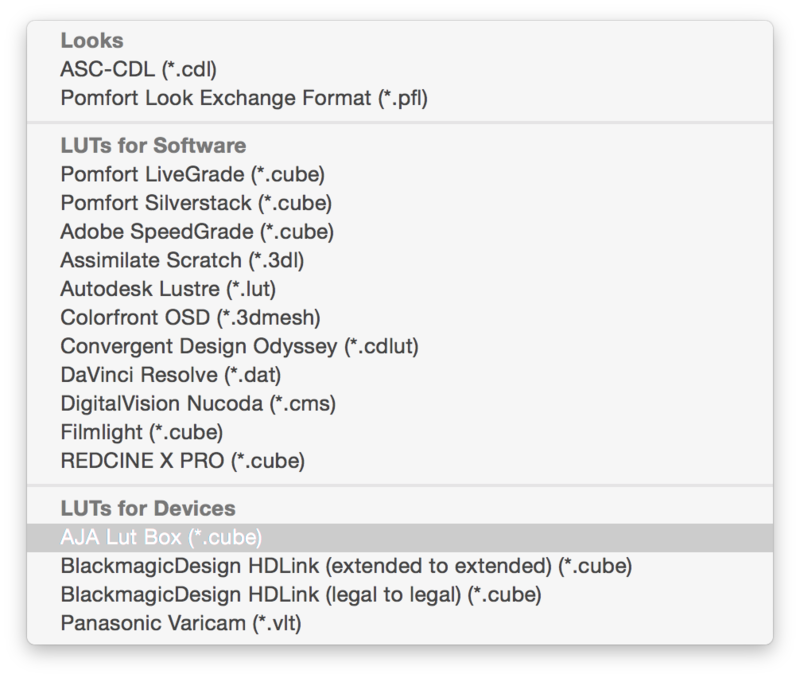 However a 3D LUT can be created with LiveGrade and exported and uploaded onto the AJA LUT-box. 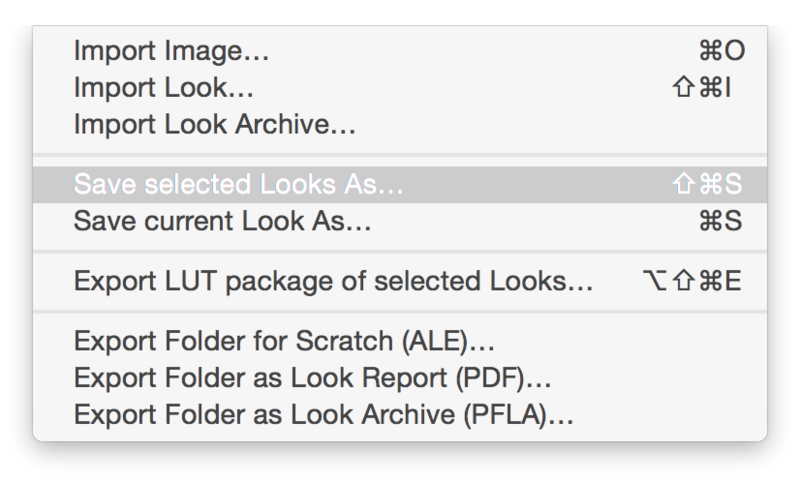 Once the format has been selected, the LUT export wizard will display the format specifications. 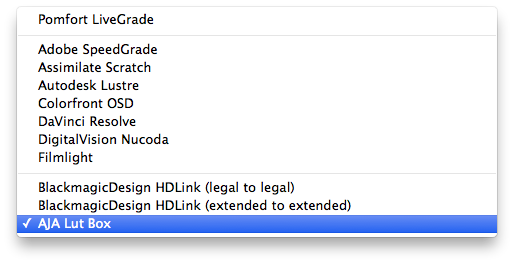 Now you only have to save the grade to the specified location. Finally, the LUT has to be uploaded into the AJA LUT-box device using the MiniConfig software downloaded along with the hardware drivers. 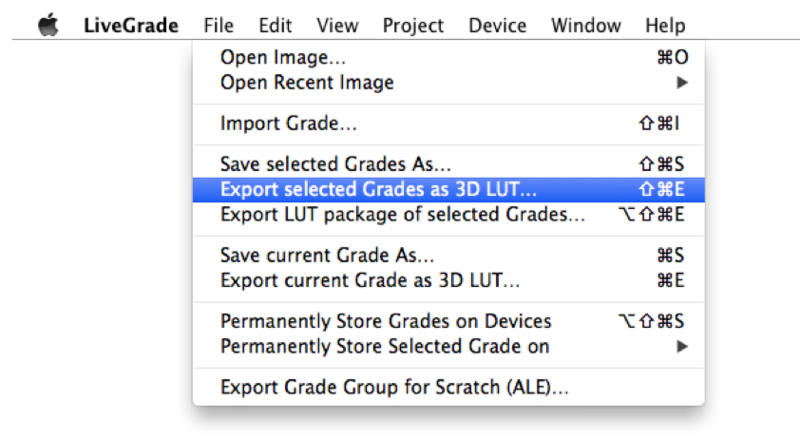 Then an open dialog is shown where the LUT that has been exported from LiveGrade has to be selected.